Lazy again. So bad. And I’ve had so much going on. Oh well. Another attempt to at least post regularly. 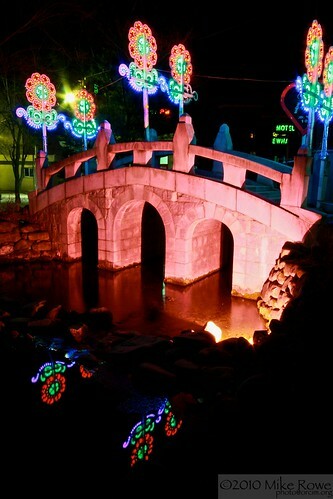 For no reason really I’ve been missing Korea lately. A few house related drama’s here as well as change of jobs has me maybe missing the more simplified existence that was living in Korea. Simplified but oh so great. 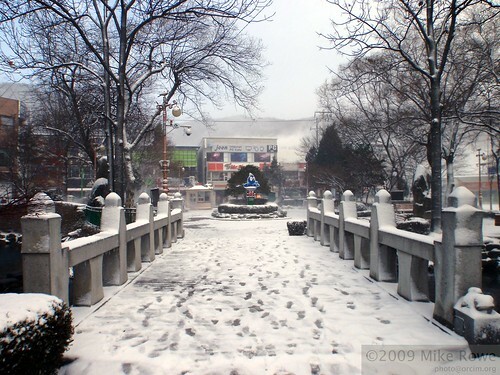 Even 30 months after leaving I still miss the place (and my students) daily. 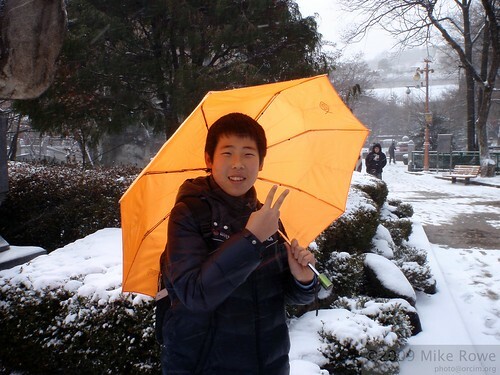 So, photos from Korea. 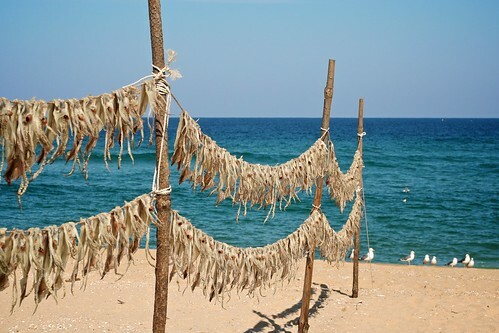 This time around it’s from a beach around Sa￼mcheok, Gangwon-Do. 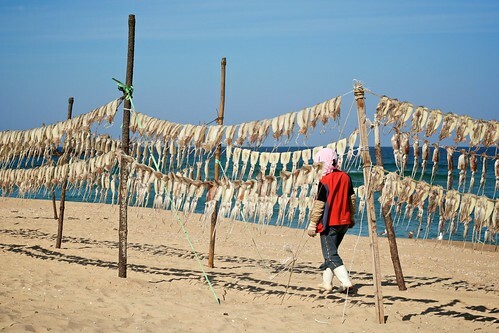 This was approx 1 hour drive from Taebaek but a stunning beach. 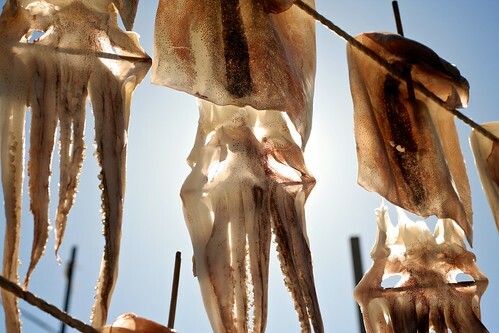 Depending on time of year, you can encounter squid drying in the sun. 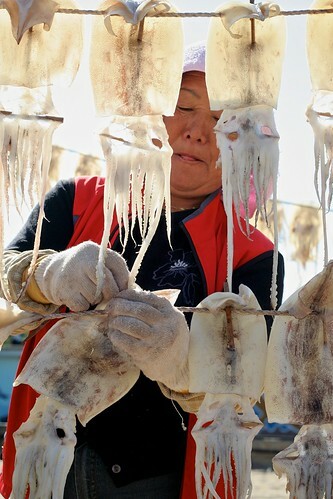 They are caught at night on one of the many squid boats and then hung up to dry. The pictures speak a thousand words, so please enjoy. 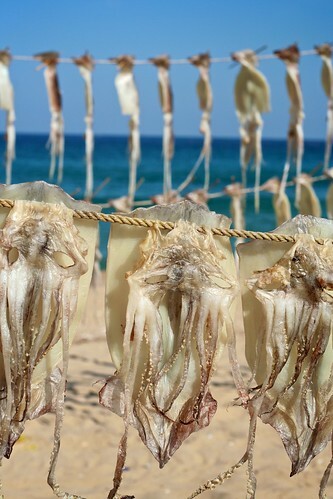 The squids themselves are delicious. 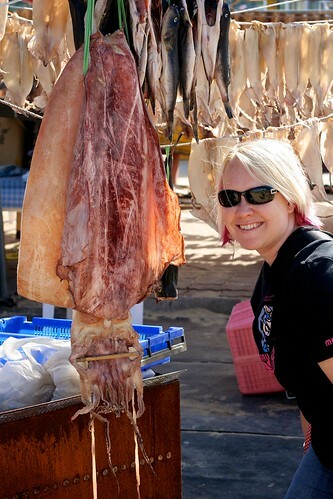 My favourite way to eat them is lightly grilled and served with ice cold beer. It makes the perfect bar snack. Just looking at these pics again brings back so many happy memories. Such a magical country. 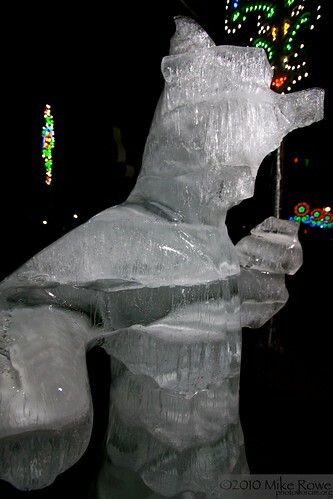 Its olympics time and surprise surprise, Vancouver is struggling for snow. I’ve heard they are having to truck it in from miles away. Athletes are struggling and even getting injured. I heard that the young Australian snowboarder fractured his wrist on a soggy slushy halfpipe. Terrible. 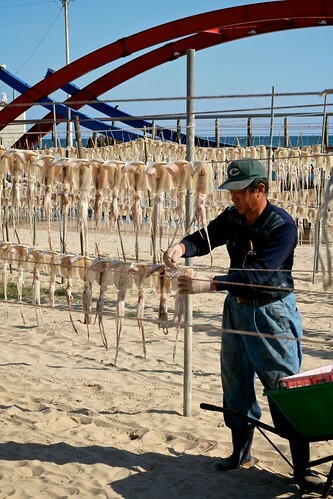 For those not aware, the South Korean resort of Pyeongchang has been bidding on the winter olympics for the past, well, forever. 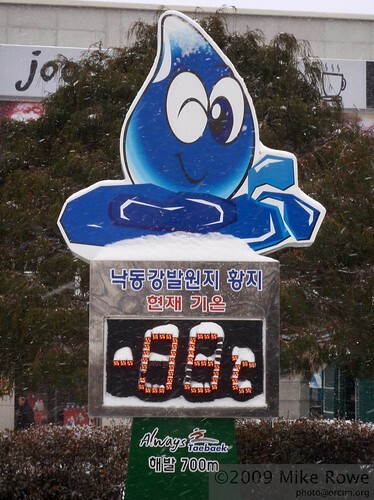 When we arrived in Korea there were still stickers for Pyeongchang 2010 on cars and billboards. They came a close 2nd, but lost out partly due to the fear of a lack of snow. Since then they’ve bid on 2014, 2018 and likely will continue until they get tired of it. 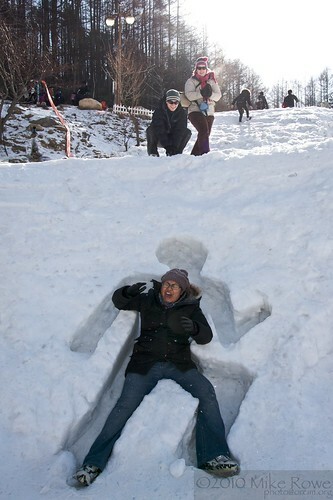 However, the whole lack of snow argument is quite amusing. Most of this winter season we’ve had little natural snow. A few good dumps early on, one big dumping early January but it has been a bit brown and meh. Until last week that is. 3 days of solid snow last week gave us about 50cm of the fluffy white stuff. The skiing was fantastic. Since then we’ve had more. Not quite as much, but at least another 20cm. I woke up this morning and its at it again. Another few cm and its still going. Of course unlike certain European countries (yes, I’m looking at you England) things don’t shut down here when there is a pile of fresh snow. Daily life goes on, just with more car accidents. 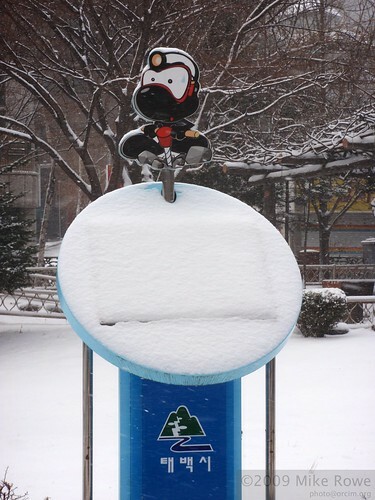 I think this late winter snow actually caught the local city government by surprise. It took a day or 2 to get the snow ploughs, gritting trucks and associated infrastructure into gear. Since then, all is mostly fine. The roads are still narrower and more slippery, but other than a few obvious spots, back alleys, car parks and big hills there are no problems. Our apartment (not for much longer) sits on a hill, overlooking the valley of Taebaek. We can look down and see a road that climbs a hill just outside out place. Its always quite amusing sitting on the balcony watching cars on the hill when there is snow and ice around. Usually its worst first thing in the morning and around 6 or 7pm when the water/sludge starts freezing again. Cars start driving up, get about halfway and then start to struggle. Sometimes they make it, sometimes they slide back down. Only the persistent (and taxi drivers) give it a second shot. Some smart people have snow chains, no worries. Those with snow tyres of the studded kind, usually ok. Normal snow tyres? if you are lucky. The stupid few with summer tyres? Ha ha ha. What does surprise me, actually it doesn’t surprise me, is how badly the school buses drive. Most Hakwons (private study academies) have their own private shuttle busses to get the kids to and from home. These minibuses are driven terribly in the best of weather, but the snow brings out the worst. Driving way to fast, stopping with no indication in the middle busy roads, cutting traffic off in icy conditions. All crazy. Oh well. Back to my boredom. This so called “vacation” time between graduation (last week) and the new school year (beginning of march) is boring. Very boring. I’m supposed to come to school. Sit here and do nothing. As I’ve already quit I have nothing at school to do other than movies, web surfing and computer games. For a day or 2 its ok. For 2 weeks its awful. Especially as I have so much to be done at home. We have about 8 days left in Taebaek before we leave for good and our apartment is nowhere near clean. Its going to be a busy week. 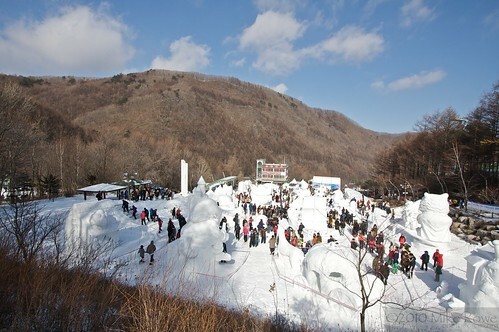 Taebaek Snow Festival. Been and Gone. 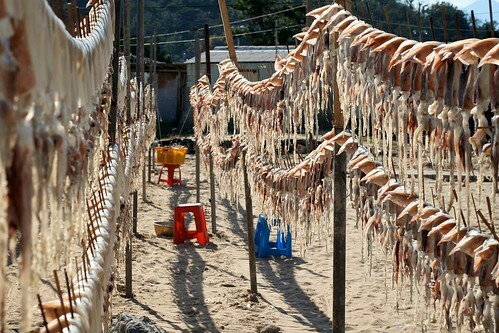 Each and every year our sleepy little town of Taebaek explodes with visitors. 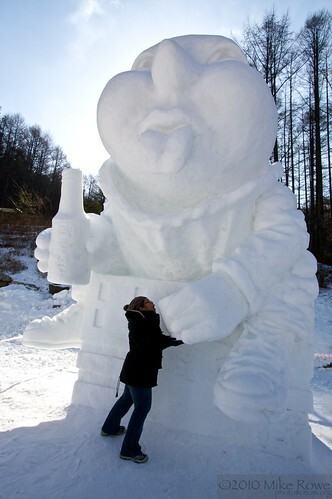 Actually we have a few different festivals that draw the crowds, but the biggest of the lot is the annual snow festival. This year is the 14th (or 14st if you believe the advertising) year they have run this and year year gets larger than the last. 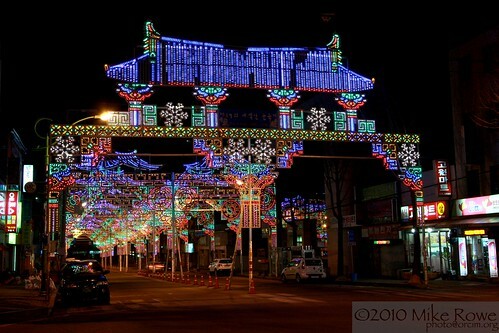 From the 22nd until the 31st of January 2010, Taebaek strained under the thousands of tourists that were shipped in for the event. 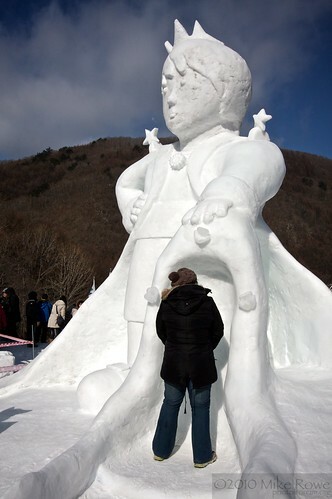 The whole town was a venue for festivities, but the major draw card was the snow sculptures and festivities in and around Taebaek-san, our famous mountain. 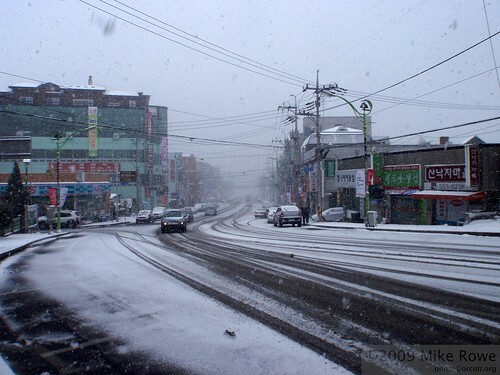 The area is called Dangol Square after the famous guy who proclaimed the nationality of Korea from atop the mountain. 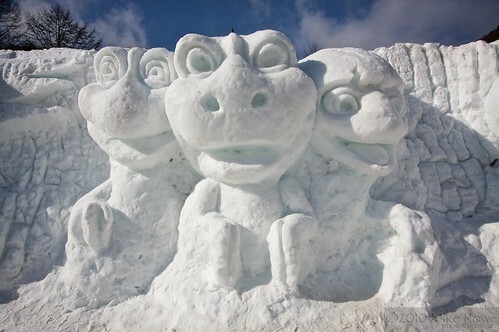 There are snow carvings, food stalls, thousands of people, a stage with musicians and thousands of people just having a good time. 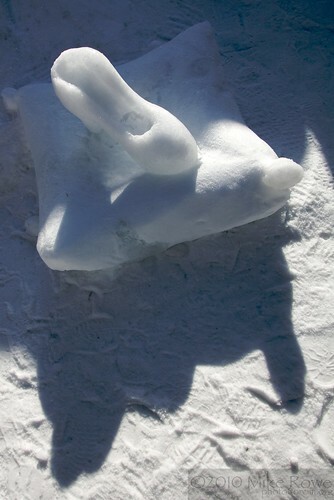 Various huge snow carvings are dotted around the area, some are interactive, some just for looks. All tell a story. 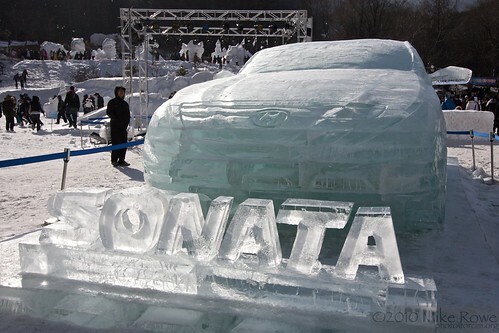 Typically for Korea, the event was sponsored by Hyundai, with the sonata as their newest model. 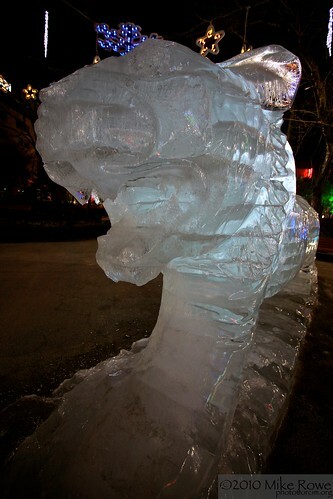 Some of the sculptures were designed for people to fit themselves into, giving great photo-ops. 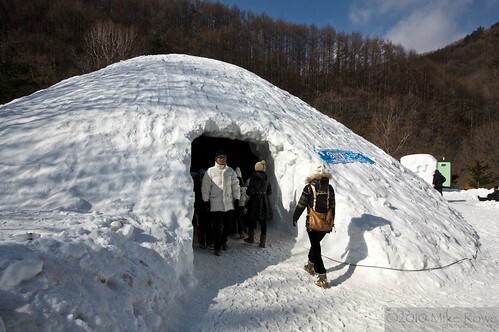 One of the most popular attractions is the ice cafe, a cafe contained within an igloo or ice cave. 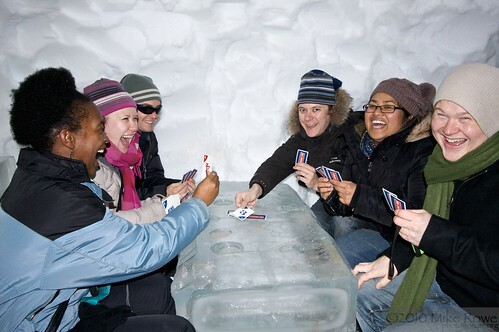 They serve hot drinks, while you sit as tables made of ice. Very cold but rather unique. 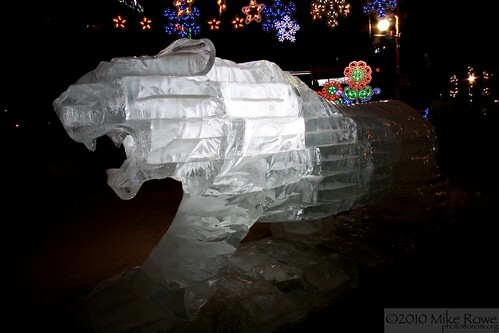 Downtown Taebaek isn’t spared the festivities either, with lights adorning the main streets and ice carvings around the Hwangji Pond area. 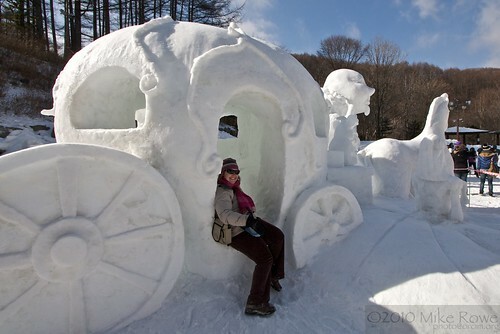 Unfortunately we seemed to have missed out on the snow festival parade this year. Not having a timetable of events hurt our chances at catching things. Oh well. We saw it a few years back. Not like we will be around next year. I’ve got a new favourite. We were working a camp for a few days at one of our local high schools. About 30 1st and 2nd grade kids, meaning they are probably around 17ish years old. It seems she bought it online with no clue what the english meant. Thats usually how it happens here. English is cool and fun, the meaning isn’t important. You do get some wonderful examples. 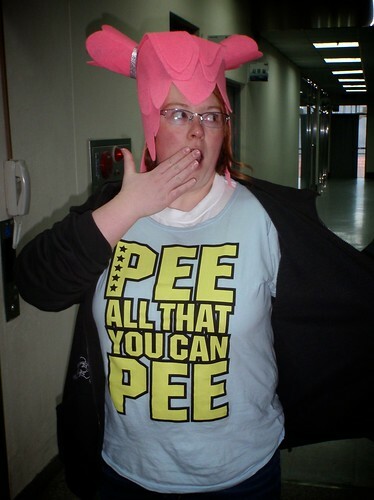 We did try to explain just what it meant to her, she was obviously mortified. 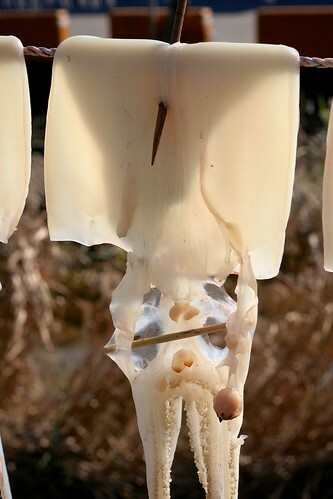 Here’s another recent find, this time from Rachel Teacher. 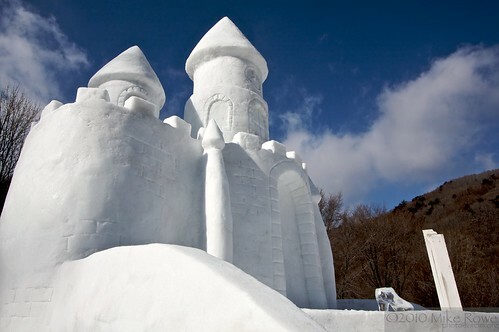 Winter is completely here, at last. Not much to write really, I’ll just let the photo’s do most of the talking. Yup, its -5. And that was the warm day 🙂 Winter is finally and completely here. 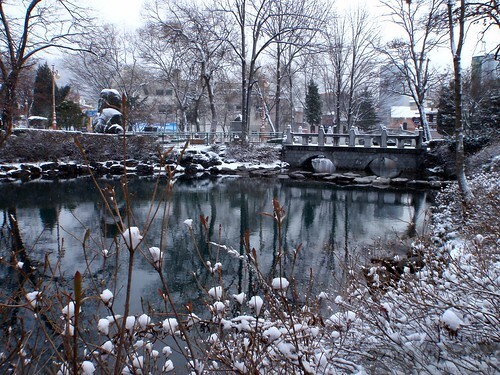 In and around Hwangji Pond, the snow really makes it beautiful. Not quite spring but just as nice to look at. The roads are all icy and snowy, creates all sorts of entertainment watching people try to drive around. 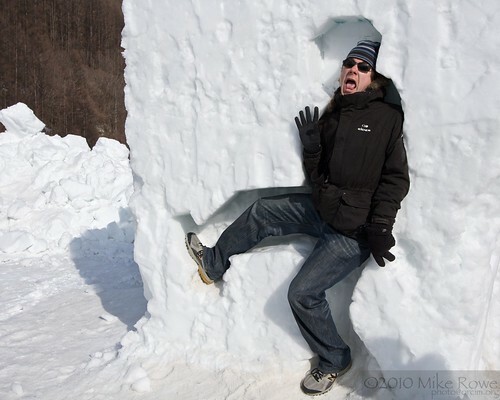 Snow brings out the worst in drivers. 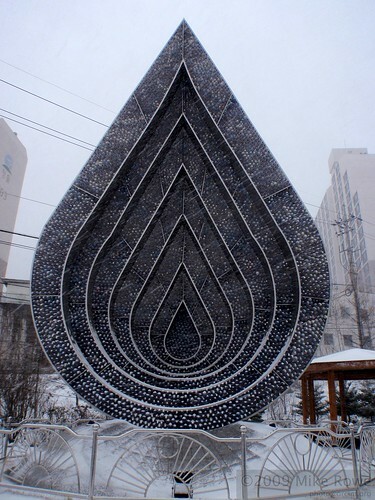 And finally, our local water monument. This was erected a few months back to commemorate the drought we had. 3 months or so of water rationing. 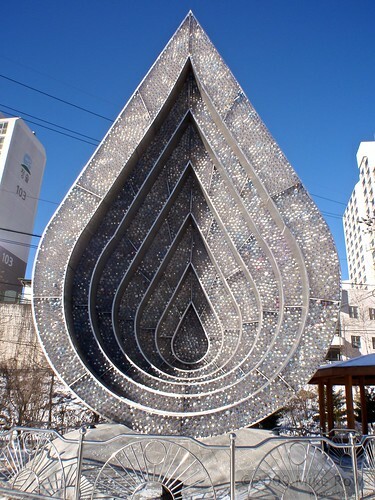 Hope this year things are more sorted out, but I don’t want to hold my breath 😦 Its made up of a great number of plastic water bottles and is supposed to remind us to save water. Its not working very well.